SAN JOSÉ, CA – Dancing as a profession is an art. The art of movement. Unlike the actors who use words to convey their art, dancers are silent. The music is their voice. To interpret it, they must first absorb it, and use their bodies: their arms, their hands, their fingers, their legs and feet and their facial expressions to convey its meaning to the audience. When we observe professional classic dancers, gliding, jumping or pirouetting on the stage, dancing looks easy. Nothing is further from the truth. To dance is hard physical work, and it requires discipline. To be able to move gracefully, one has to teach his or her muscles to move gracefully by exercising them for hours every day. Often, those muscles resent the exercise, and when this happens, they ache. Before a ballerina learns to stand on the tips of her toes (pointe) she must spend years learning to train her toes to carry the weight of her body. To be proficient, she also needs to learn the leg and foot refinement of stepping to point, and coming off, called the roll-up relevé and the roll-down from Pointe. Wearing her “Pointe Shoes”, she must learn to do everything: walk, run, jump, turn and even execute Grand plies and Grand Adagious, standing in one foot. On his part, the male dancer need strength in both their legs and arms to be able to jump high, spin fast and be able to lift the ballerinas. They also must learn to catch them, when they jump into their arms, and when performing a “Fish” together, how to hold them gracefully, upside down. And being an “art” when a dancer moves, each gesture must have a meaning, because to dance, is to expose in movement, the feelings in their hearts. As a professional dancer, RAYMOND RODRIGUEZ danced for many years around the world. In l981, he joined the Cleveland Ballet (Now Ballet San José) and came the city as “a principal dancer”. He works now as the Associate Artistic Director of Ballet San José. Prior to BSJ’s second program: POPULAR MUSIC, TRANSCENDENT DANCING, which will include: The Company’s premiere of Nuestros Valses (l976) Grapa Tango, (2007). The Company’s premieres of Infinity (2013) and Evermore (2013) and Piazzola Caldera (l997) which will be performed on March 21,22,and 23 at the San José Center for the Perfoming Arts, Mr. RODRIGUEZ invited CULTURAL WORLD BILINGUAL to watch in BSJ's studio, the rehearsal of one of those dances. To see a group of professional dancers rehearsing is interesting. They are already professional, so their “couching” consists in small details such as: position the left arms a little higher for effect. Do the same movement with more grace, or dance it, with more feeling. Acting as their couch, Mr. RODRIGUEZ observed them carefully and when something needed to be corrected, he demonstrated how to do it. During a short interview following his rehearsal, we asked Mr. RODRIGUEZ to tell us something aboust the dance that we saw him rehearsing with the dancers. In this ballet, we made a story of a “Night in Buenos Aires,” where people are out dancing. The two gentlemen that you saw doing a duet. (See the photo below courtesy of BSJ) represent to be "borrachos" (dunk) they have too much to drink and had a fight. In the dance, you see them fighting and falling into each other, but it is all controlled. Both dancers have to keep their ballet technique to be able to do other forms of dance. It is very important for the “line” of the dance, and its attitude. So whether they are in “character shoes” or in ballet shoes, the dancers have to follow these movements." C.W.B. With all these dances, the Company performed, how can you remember the choreography of every one of them? C.W.B. That must be a difficult work. C.W.B. How do you feel as Associate Artistic Director of BSJ? R.R. “I am happy in my position. I think I have risen to the occasion, I have been with the organization for a very long time. I understand how the company works, from the time I learned as a student up until today. I don’t dance anymore, I danced “character” roles, but I have the education and the desire to pass along what I learned. As Associate Artistic Director I am now managing people, I have to control forty dancers in the studio, doing day to day schedules on who is rehearsing what, when and where. I work together with José on casting, I have meetings with the Board for planning the season, I Get licenses, bring in the stagers, hire new dancers or let go some dancers, I audition dancers and look at all the videos I get from dancers who want to join Ballet San José. I am also coordinating with the custom shop, to be sure that when the dancers get on stage they can move and don't rip their pants when they dance." "You have a lot of responsibility." we tell him. He smiles. C.W.B. Do you have anything to add? R.R. “I would like to encourage people to come to see Ballet San José. We are doing an exciting new repertoire from choreographers from around the world that the Bay Area had never seen before, choreographers from Israel from Venezuela. Our new program shows incredible work." 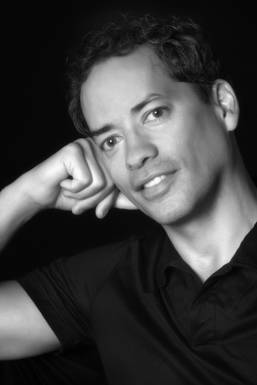 Born in New York City, RAYMOND RODRIGUEZ began tap dancing at the age of six, He attended the High School of Performing Arts in Manhattan, and then the American Ballet Theatre (ABT) School on a full scholarship. He gained his performing experience dancing with ABT. As a dancer, Mr. RODRIGUEZ has performed all over the world and staged numerous ballets, around the world, for former BSJ Artistic Director Dennis Nahat. He had acted in films and TV. 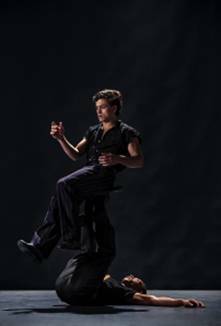 He has also performed, assisted and remounted works by Fleming Flindt, most notably The Toreador where he performed the title role at his company premiere and staged the work for the 2008-2009 season, for which he won the Isidora Duncan Award.